Switching from one tool to another can take a lot of work. You have to gather your data, align your entire team, hope the switch goes well… then implement new systems based on the change. Good news: it’s a snap to switch to Churn Buster. No matter if you’re switching from an in-house system, or a third-party tool, it’s shockingly simple to get up and running. Churn Buster does all the heavy lifting to get you set up fast, with tons of advanced options as your account grows and warrants more focus on optimization. So let’s walk through the steps to start recovering more revenue with the only software that focuses 100% on failed payments. Be sure to reach out if you have any questions regarding our plans. For a more personal touch, use someone at the founder level—or anyone on your team. 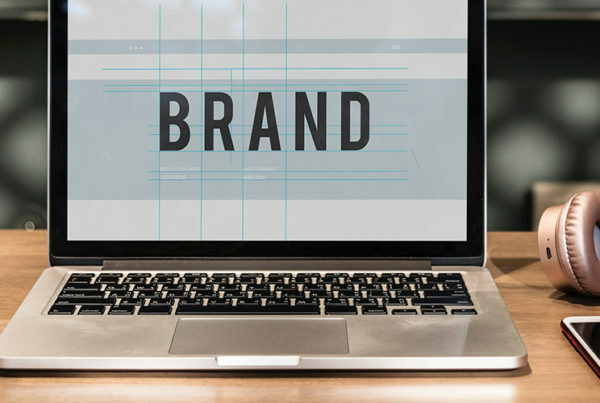 You can go more formal with a Support Team address if that suits your brand at this stage. This will be used on your Capture card update forms. These landing pages will be mobile optimized and won’t require a login (very convenient and secure!). Whether you use Stripe, Braintree, or ReCharge, it’s easy to connect. Using a different payment processor, or a combination of tools? Just reach out to [email protected] to connect via our API. 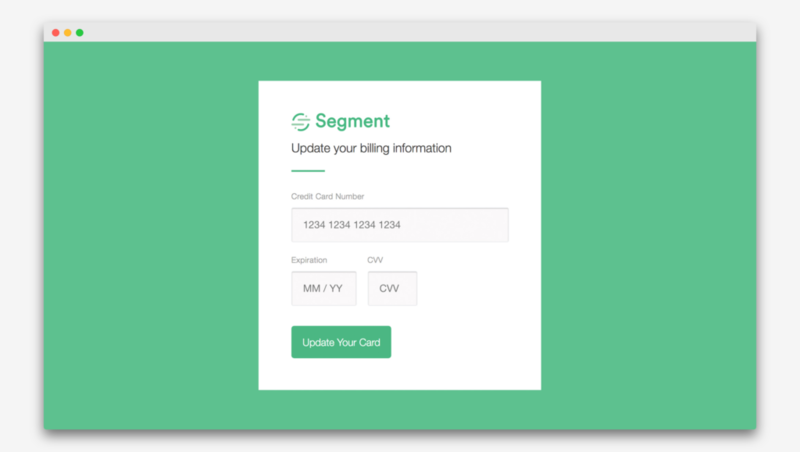 During setup, you will be given instructions on how to adjust settings for your particular billing tool to work seamlessly with Churn Buster. These settings are designed to avoid duplicate emails from sending, and they also strategically place your retries, and end-of-retry-sequence behavior to work nicely with Churn Buster campaigns. This step alone often increases recovery out of the gate. Don’t hesitate to contact us with any questions about the recommended settings. Whether sent internally, via a 3rd party, or via a checkbox setting somewhere, to avoid overlapping messages. Also, turn off pre-dunning for cards “expiring soon” (why?). At this point you’re ready for launch! Pre-written emails are supplied for you, and you can gather data over the next 60-90 days before iterating. By default, the first email is sent *3 days after the next failed payment* (on average, 21% of failed payments clear before the first email is sent) so you have plenty of time to make changes, too. Note: Start and Grow accounts activate immediately and start monitoring for failed payments. Optimize accounts launch upon request, so there is time to set up more advanced campaigns before you get started! You may not see much activity right away, as the system is monitoring to track the next failed payment. That’s ok! Click on the Team page of your account and add any teammates you’d like to share account access with (unlimited teammates supported). On the Deliverability settings page, you can grant us permission to send emails on your behalf. This makes your emails look personal, legitimate, and trustworthy in your customers inboxes. It’s not necessary, but it is highly recommended, and only takes about 5 minutes of your time. On the Capture settings page, set the background color, button color, and choose whether or not to require a postal code or block prepaid cards. You can also preview your Capture page to ensure it’s branded properly. 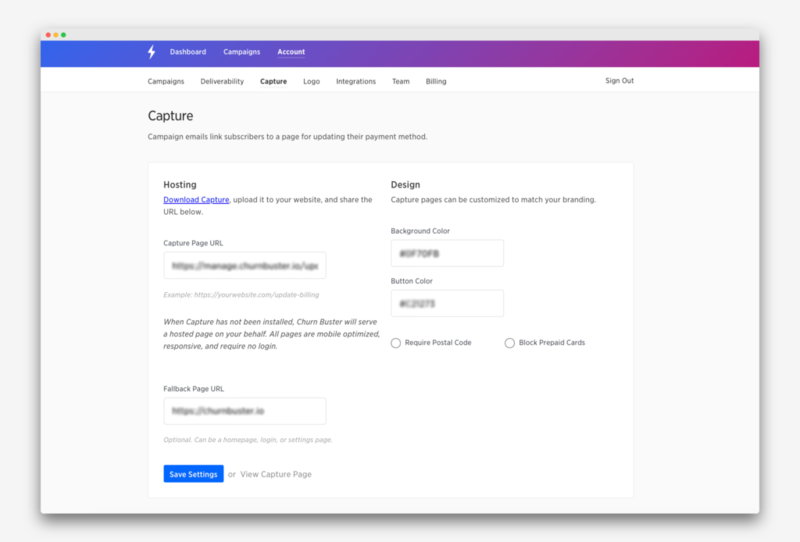 On the Capture settings page, download the Capture file upload it, and then share the URL where we can link customers to see it. If you have a billing page in your app, you can also embed Capture forms for logged-in customers to use. Note: By default, Churn Buster will serve a hosted page on your behalf. All pages are mobile-optimized, responsive, and don’t require a login. *Grow and Optimize accounts can self-host Capture on their own domain. Every business is unique when it comes to churn. Best practices are a great place to start with Churn Buster, and as you collect more data, a more customized approach can yield improvements. The Campaign Scheduler unlocks infinite potential to analyze and tweak your recovery campaigns to fit your specific needs. Change the frequency of emails to deliver the best experience to your subscribers. Add retries prior to each email, re-verifying payment issues before interrupting your subscribers. *Customizable Schedules are available on Grow and Optimize plans. On the Campaigns page in your account, you can click into each email to customize the content. 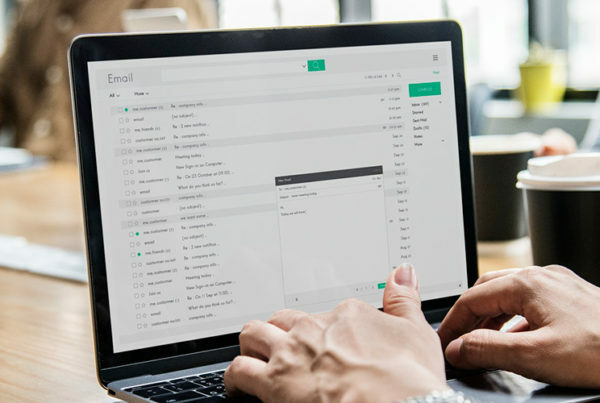 Review the subject lines of your email campaign, and click into each email to make sure messaging (and the email senders) are how you like them. The default email templates have been tested at-scale, so they are a great starting point even when used as-is. *Branded Emails are available on Grow and Optimize plans. Integrate your account with valuable apps to gain even more insight and fluidity into your dunning. 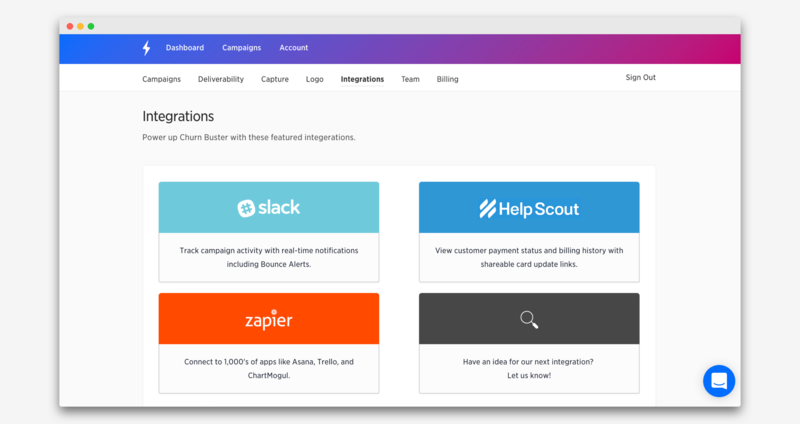 Connect to over 1,000 integrations via Zapier Over 1,000 Integrations via Zapier to bring at-risk customers into your workflow. Some common use-cases of this would be updating a customer’s status in your CRMM adding a card to Trello with bounced emails to correct, notifying your success team of high-value churn risks, etc. Additionally, our Slack alerts allow your team to monitor performance and correct issues before they become churn (in real time). Learn more about our Slack notifications here. *Integrations are available on Grow and Optimize plans. ARE THE CUSTOMERS CURRENTLY IN A DUNNING SEQUENCE GOING TO RECEIVE EXTRA EMAILS WHEN I SWITCH CHURN BUSTER ON? Some people may receive multiple emails, but this should not cause concern. Because these people are in all different stages of dunning, odds are that these users may only receive 1-2 extra emails (increasing your chance of recovery by that many more contact points). In addition, other dunning systems often don’t surface campaign issues like email bounces, so you’re more likely to identify and address campaign issues that went unnoticed in your prior setup. WILL CUSTOMERS WHO ALREADY WENT THROUGH A CAMPAIGN IN MY PREVIOUS SETUP GO THROUGH A NEW CHURN BUSTER CAMPAIGN? By default, we only start campaigns when payments fail. So customers with no more retries scheduled won’t be added to a Churn Buster campaign. If you’d like to start campaigns for additional customers, simply retry payment on their past-due subscription and you’ll then see a campaign created in Churn Buster. MY OLD SYSTEM HAD PRE-DUNNING EMAILS, DO YOU? You can use a tool like emailhooks.com to re-create those emails outside of Churn Buster. We focus exclusively on improving failed payment recovery. It’s the highest-value focus area for us, and other transactional notifications like email receipts simply aren’t worth our time as our roadmap is filled with high-value updates for our dunning services. I HAVE AN IN-HOUSE SYSTEM, WHAT DO I NEED TO DO WITH IT? Be sure to comment-out or delete any code that is listening to payment processor webhooks and sending emails to customers. Churn Buster will be taking over both email delivery, and subscription reactivations and invoice collections so it’s rare that you’ll need much, if any, billing code running in your app. HOW DO I HANDLE ACCOUNT LOCKOUTS? Churn Buster can schedule a webhook at any point during your campaign, which you can use as a signal that a customer should be locked out of their account. Contact [email protected] for help with this. WHAT HAPPENS AT THE END OF CHURN BUSTER CAMPAIGNS? At the end of a campaign, you have a choice (chosen during the onboarding process). We’ll either leave a subscription past-due in Stripe or Braintree, or cancel it automatically for you. The date of cancellation depends on the length of your campaigns. By not using the cancellation setting in Stripe or Braintree, you’re able to run longer, more-effective campaigns with Churn Buster triggering the cancellation instead whenever you’re ready. Your Dashboard will show results, graphed in weekly cohorts, as soon as campaigns begin. You’ll be able to see how many campaigns were won, whether via card update or automated retry, and how that performance changes over time. 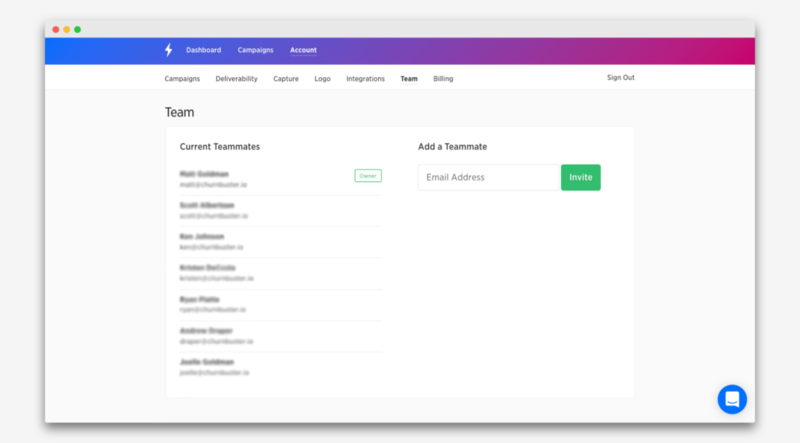 You also have the ability to search for customers, and filter based on their campaign status, so that you can detect issues, copy card update links, or inform your support team about a customer’s progress. It’s usually the case that customers have more visibility when they switch to Churn Buster. Churn Buster makes a complicated job seem simple. It’s easy to get started, and you now have automated, secure failed payments handling in place, at low cost, with advanced features available as your company grows and/or collects data. Your first email will be sent a few days after the next failed payment. Depending on payments volume, it could take a while for Churn Buster to deliver results. Stay patient! In the meantime you’ll know that customers are not slipping away unnoticed. Expect to run campaigns with Churn Buster for 60 days, and assess performance after 90 days. This gives you 2 full months of data, and allows 30 days for all campaigns to fully finish so that your recovery rate metrics are accurate. Ready to get started? Switch to Churn Buster today.